I gave a sneak peek of this look yesterday on Instagram and y’all loved it! 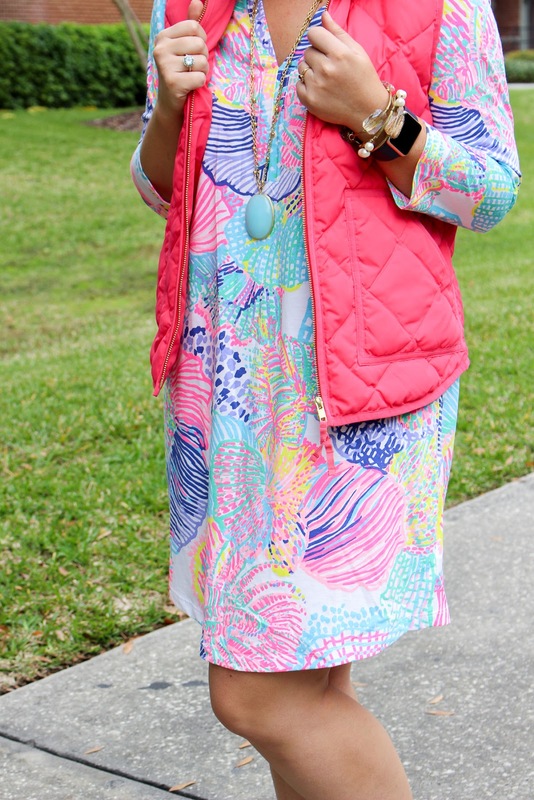 Looks like I’m not the only one who loves to carry my Lilly Pulitzer into the “winter” season (if you can even call it that in Florida!!) 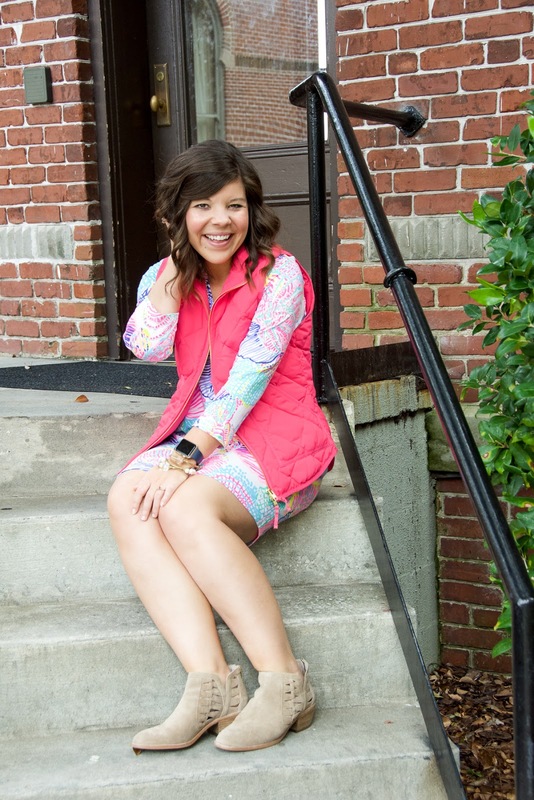 I have a pretty well-documented obsession on here of my love for a puffer vest, so when there was a chill in the air the other day I paired one with my swingiest Lilly dress and called it a day! 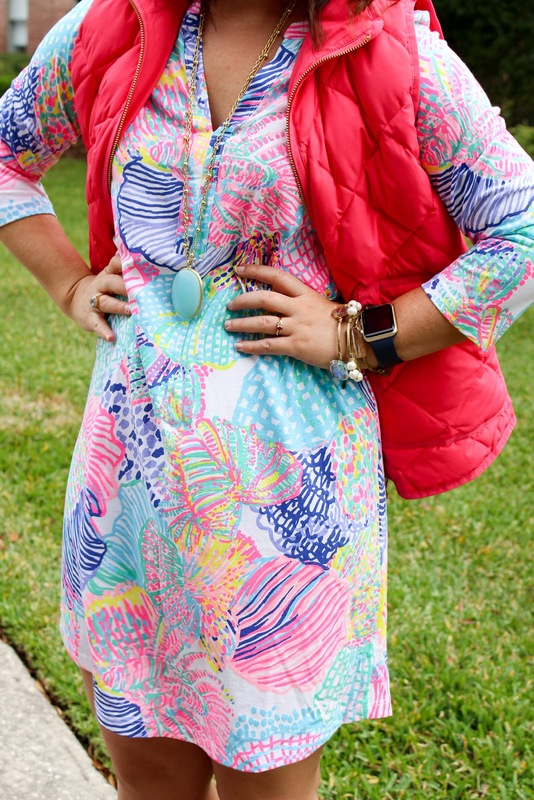 FIT TIP: The Ali dress is pretty swingy throughout the body, but the arms run really tight so I stayed in my normal size rather than sizing down. On another note… who watched This is Us this week? I won’t give away any spoilers, but seriously pass the tissues and cue the tears! I was all kinds of choked up!! 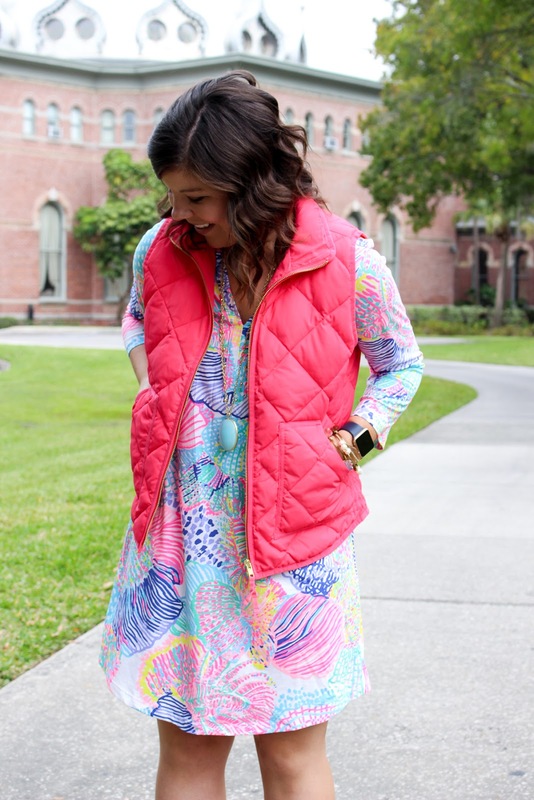 I love the pink vest with your Lilly! It's like they were made for each other! 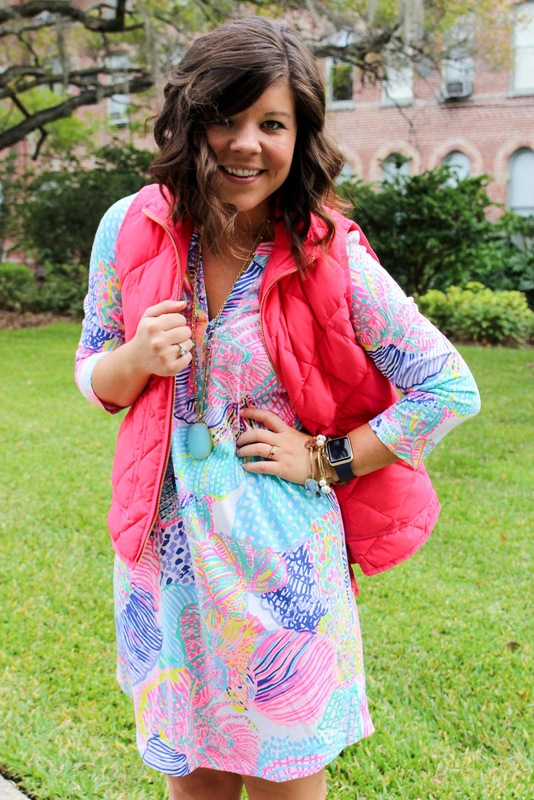 I love all your Lilly OOTDs and that vest-need it asap! 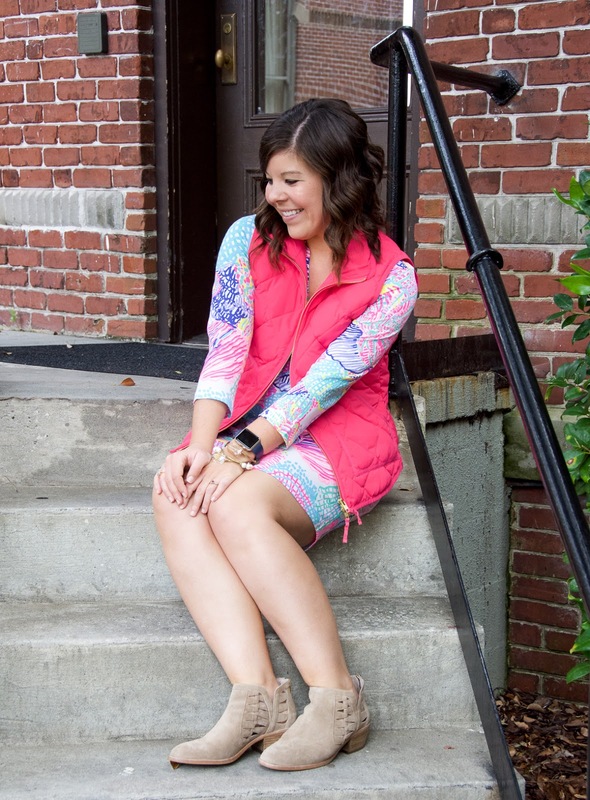 I LOVE puffer vests, especially one with a good monogram! 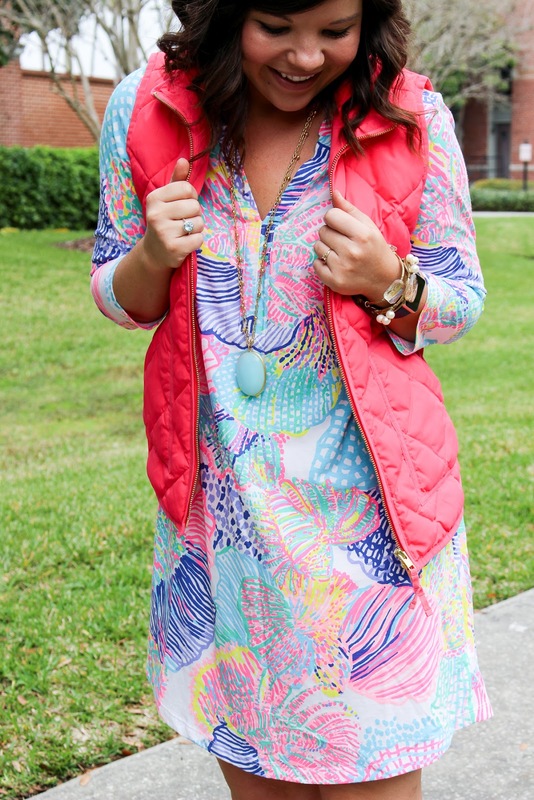 This pink is fabulous; I've been wanting one in this exact color as well as navy. You look fantastic! Such a great idea for a post! 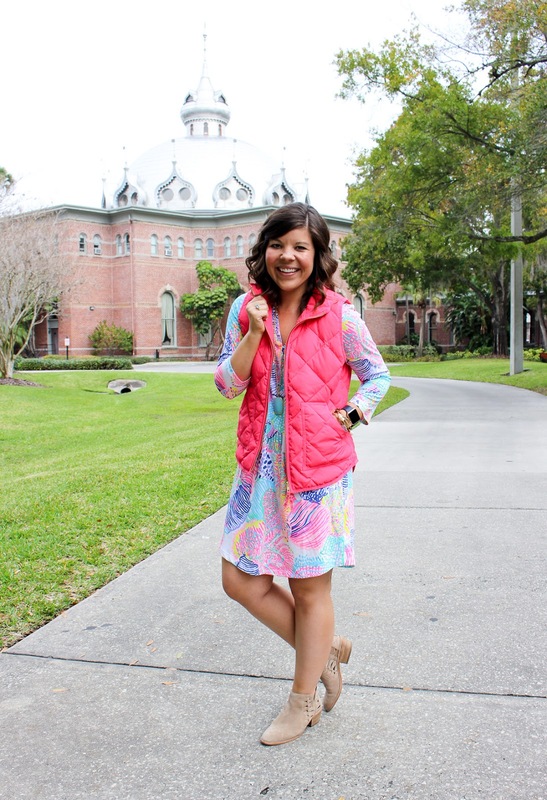 I love my colorful Lilly gear but when winter rolls around (or I'm not on vacation in Florida) I always feel silly wearing it. 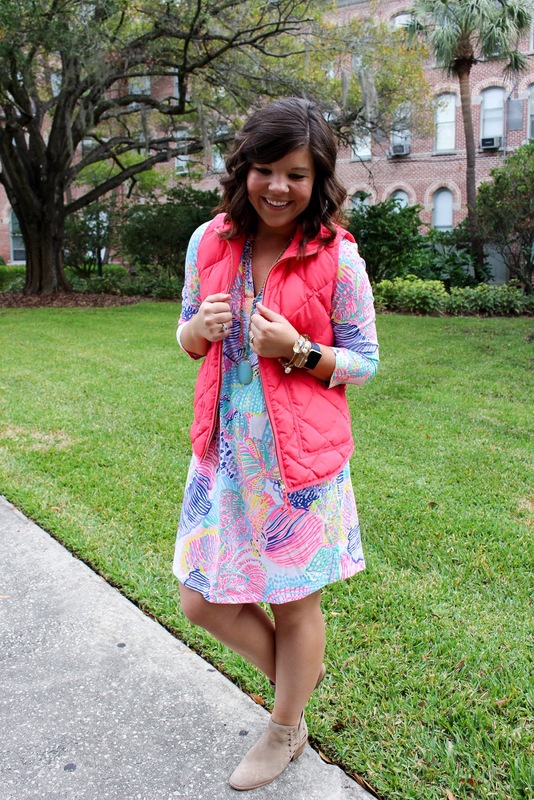 What a pretty look and I love the color of the vest! 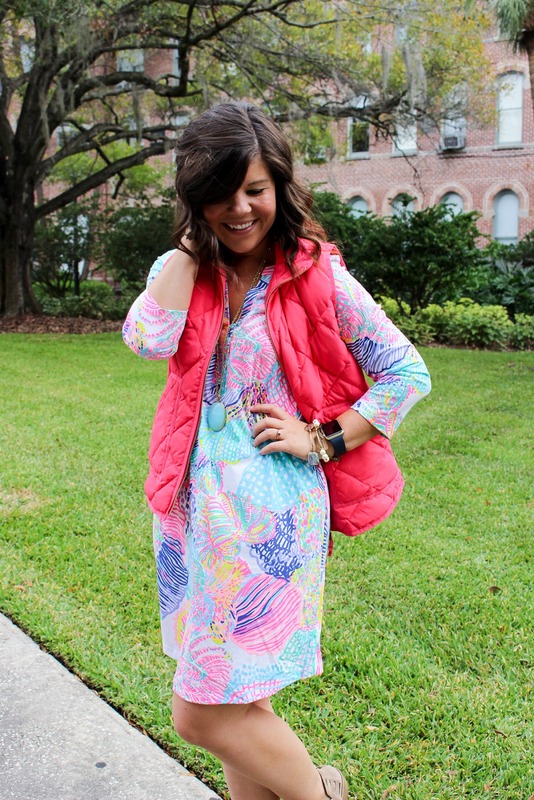 This is SUCH a cute way to make spring clothes appropriate for winter!